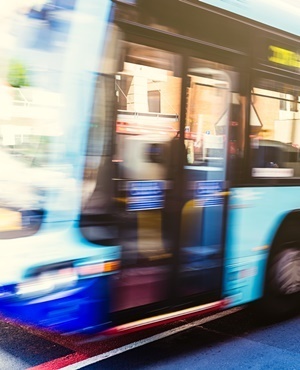 WhereIsMyTransport, a public transport data and technology company founded in Cape Town and incorporated in the UK, has announced an investment of $1.85m from Liil Ventures and Goodwell Investments as part of its Series A funding round. The investment has been secured as the company expands its digital mapping of formal and informally run public transport networks into new emerging markets, including its first data collection projects in India and Latin America. Data for more than 30 major cities in emerging markets are now available on the WhereIsMyTransport integrated mobility data platform - an open API for mobility data and commuter services. Returning investor Goodwell Investments is joined by Liil Ventures, a Corporate Venture Capital fund in the mobility sector. Wim van der Beek, founder and managing partner at Goodwell Investments, said poor mobility in emerging markets is a huge social issue that has been overlooked for years. In his view, WhereIsMyTransport's data and technology has a direct and sustainable positive impact on the livelihood of hundreds of millions of excluded households in these markets. "WhereIsMyTransport and its solutions are perfectly aligned with our investment strategy, and we are thrilled to continue to support the company and its mission for social change," Van der Beek said in a statement. In recognition of its achievements in Africa and further afield, WhereIsMyTransport recently received an award for Innovation and Service Transformation from the State Information Technology Agency (SITA) and an award for Outstanding Achievement in Transport Innovation from the Intelligent Transport Society. The award for Outstanding Achievement, from the Intelligent Transport Society (ITS), is given to transport organisations improving operational efficiency, reducing carbon emissions and making transport systems more accessible.